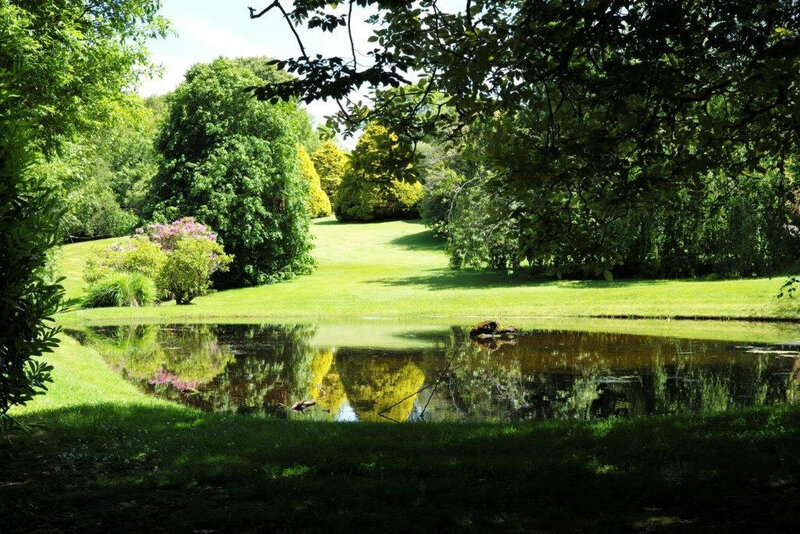 Galway and Connemara estate house and gardens, Oughterard, Rosscahill, Galway, Ireland West. Ross Lake House Hotel, formerly Killaguille estate and one of Connemara's most gracious mid 19th. century houses, was built by James Edward Jackson, land agent for Lord Iveagh at Ashford Castle. Killaguille house and its estate comprised of 1200 acres of land. 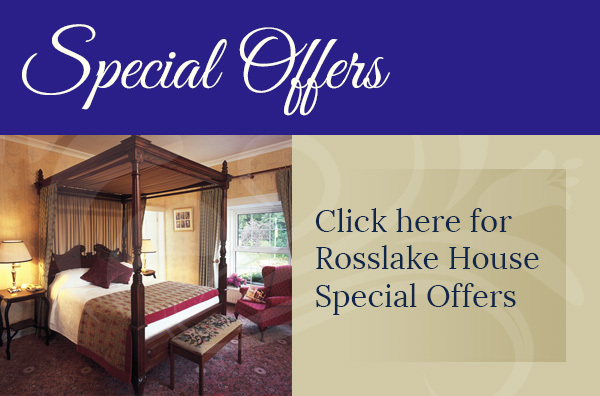 Subsequently the land was divided and the house converted into a hotel in 1969 and renamed Ross Lake House because of its close proximity to Ross Lake and the internationally renowned fishing waters of Lough Corrib. The house is surrounded by mature gardens with magnificent trees and rolling lawns creating an oasis of peace and tranquillity. The hotel has its own tennis court.